Cabbage is a hardy annual plant, brought to us from East Asia. This relatively new vegetable quickly became popular because it is very tasty and original looks. In the parlance of the Beijing cabbage is often called iceberg lettuce. It is possible to grow on your plot or windowsill. On the windowsill of the Beijing cabbage are sown in the end of January, and are grown without supplementary lighting. After all, this vegetable does not like the long daylight hours, an abundance of light begins to make an arrow. Prepare a soil mixture of peat, garden soil, humus or compost and sand. Add a little bit of complex mineral fertilizers and complete mixture of the landing vessel. Moisten the soil, sow the seeds in the grooves to a depth of 0.5-1 cm distance between the grooves in the range of 6-8 cm, Cover container with plastic wrap and put in a warm dark place. When sprouts appear, move the seedlings to a windowsill. The first harvest will be possible to try already after 25-30 days. Peking cabbage can be planted under plastic covering on the site. In the fall put it in a bed of 4-5 kg of compost or humus, add complex fertilizers. Sow the seeds as early as possible in rows, the distance between which is 20-30 cm per 1 sq. m. to sow 2 grams of seeds of Chinese cabbage to a depth of 0.5-1 cm. When the seedlings sprout, they should be thinned so that between the plants was 4-5 cm after a while repeat, leaving between each head 10-15 cm (thinned plants can be used in food). Outdoors the Beijing cabbage is grown through seedlings. To do this, sow the seeds in peat pots in early April and in late July. Into each pot place a 2 seed. When the cabbage comes up, and it formed 3 true leaves, plant it in a permanent place. the distance between plants should be 20 cm between rows – 60-70 cm. 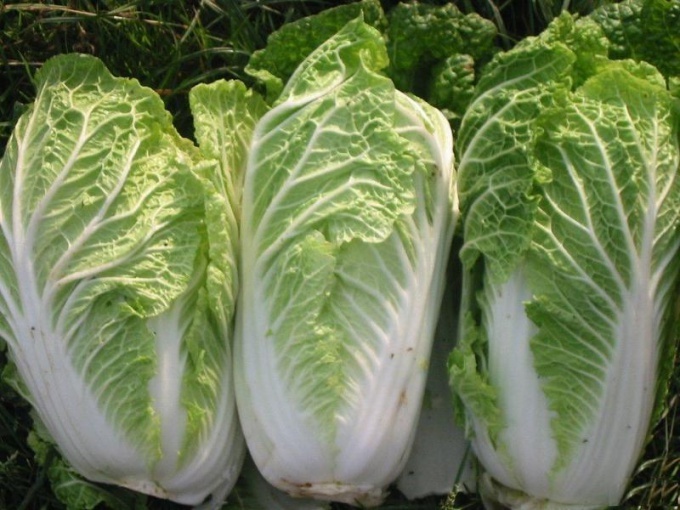 Chinese cabbage can be called new for our country vegetable, which is for sale. Nutritive value it is not inferior to ordinary green cabbage, and one might even say surpasses its useful and medicinal properties. To grow Chinese cabbage and possibly on their own site. Before you plant Chinese cabbage, it is necessary to grow seedlings. Seed germination is fairly fast, the cotyledons begin to open after four days (temperature = 20 degrees). Chinese cabbage is very sensitive to frost, but also does not tolerate intense heat, under the influence of which is formed the floral stem. Temperature optimal for the cultivation of this vegetable is about +15-20 degrees, we need a constant humidity. Prepare the soil. Best predecessors are considered pumpkin, beans, potatoes, tomatoes, corn and onions. To obtain an early harvest, choose a site with light soil, it quickly warms up in the spring. When the ground thaws (April), Deposit tucked in the autumn of humus bed of ash and proryhlit. Seedlings for planting should have three or four well-developed leaves and to be age two or three weeks. The distance between the seedlings should be 20-30 cm between rows and 45 cm. Feature of Chinese cabbage is considered the tendency to the disease mucous and vascular bacteriosis, especially when damage to the root system. Therefore welcome the direct sowing of seeds in the soil under plastic cover. Care is to remove the weeds and maintaining the soil in a loose condition, irrigation should be moderate. Fertilize Chinese cabbage only once for the whole growth period of a nettle (as stinging nettle is a little older, tear it and use as a dressing). Chinese cabbage is an early maturing culture, for growing leaf varieties in the open ground forming a rosette 40 days, headed for 60-70 days. The growth and closure of leaves, cut every other plant for daily use and preparation of healthy salads. Whichever you choose the method of cultivation of Chinese cabbage seedling, or seed, do not wait for the final formation of the head, the appearance of stems and the beginning of strelkovanie plants. Cut the cabbages until the end of June (25-30). Chinese cabbage immediately won the hearts of consumers. For this reason, it became "to promote" under the guise of a salad, but went product only good. 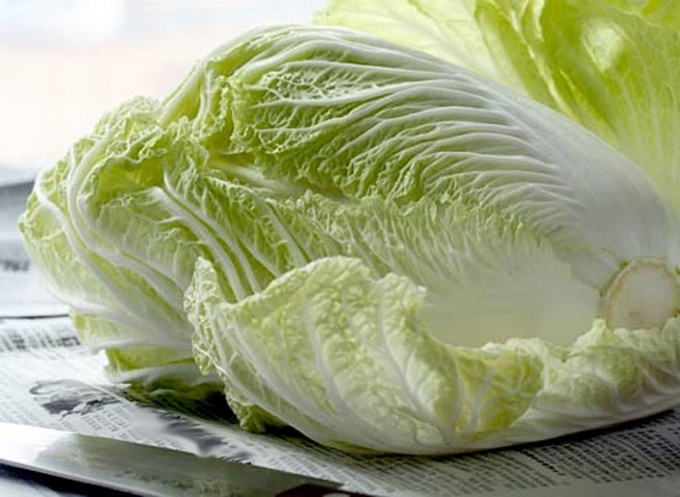 In addition to the endless list of useful vitamins and substances that armed Chinese cabbage, it is also easy to grow. This can deal with any gardener-Amateur and the result will be a vegetable is no worse than the greenhouse. The most suitable conditions for the successful cultivation of Chinese cabbage are: moderate temperatures, not too high, but not low, from 15 to 20 degrees, also important a short light day. Based on these data, we can conclude that not all regions are suitable for growth of Chinese cabbage. However, to build a greenhouse which will be supported by special conditions, is not too difficult. The main problem that might be faced by the grower, working with this plant, is "cvetochniy or strelkovojj" certain types of Chinese cabbage. In many latitudes the sun light and heat quite a lot, especially in June, July, the days are prolonged, and simply cabbage begins to bloom and shoot arrows. To cope with this problem will help early sowing. If you sow cabbage at the end of April or in may - quick flowering and unnecessary shoots will be avoided. How to grow different kinds of Chinese cabbage? Over time, Chinese cabbage firmly entrenched in consumers ' lives, and to have it in your garden has become almost mandatory. There are various types and hybrids of this plant, and the conditions of cultivation vary a lot among themselves. The main types are the usual iceberg form of cabbage out polukochannye and sheet. Last – the most precocious, and therefore they should be planted in early spring. 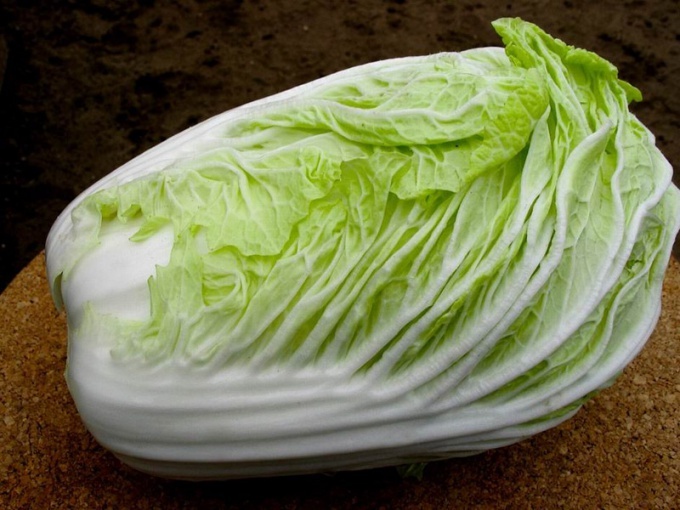 Iceberg types of Chinese cabbage are made longer. With regard to the soil – all kinds of Chinese cabbage is quite sensitive to its quality. Sow seeds in open ground and under cover in a greenhouse, however, a prerequisite is fertile and moist soil, black soil is ideal. You can use the seeds and the seedlings. The last method significantly reduces the time of formation of head. Quite often, culture are sown in stages. Despite the fact that favourable for Chinese cabbage is mild temperatures, the seeds survive and frosts of around -5 degrees. Thus, it is possible to sow early in the spring and planted seedlings - in late, extending the period of obtaining the finished product. Cabbage sown in rows at intervals of from 35 to 50 cm with regard to seedlings, you can plant closer to one another.